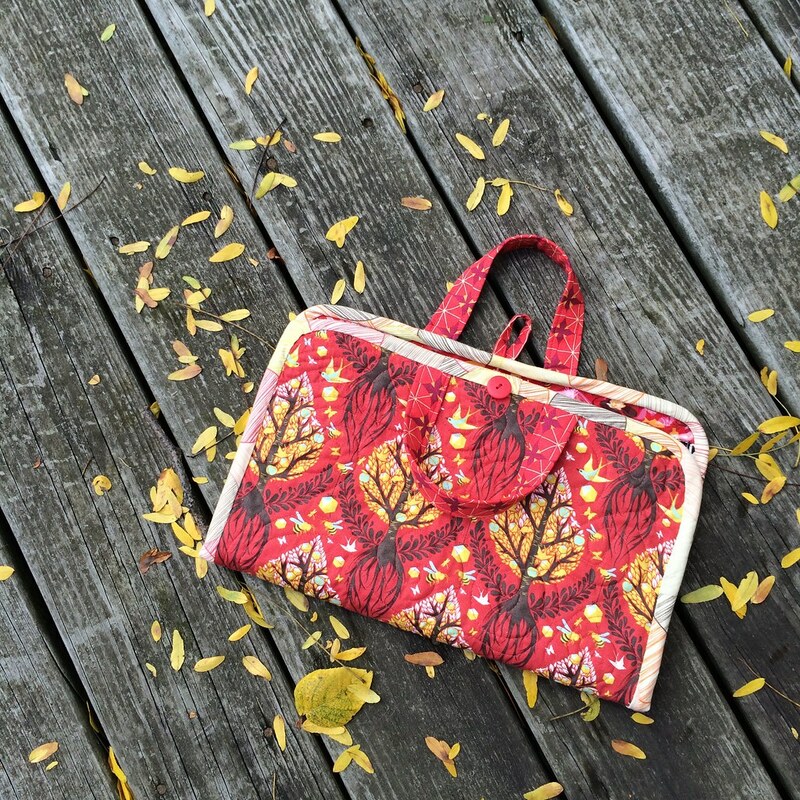 Blotch and Thrum: Road Trip Case, number 3. When I made my first Road Trip Case, it was unremarked upon in my house. 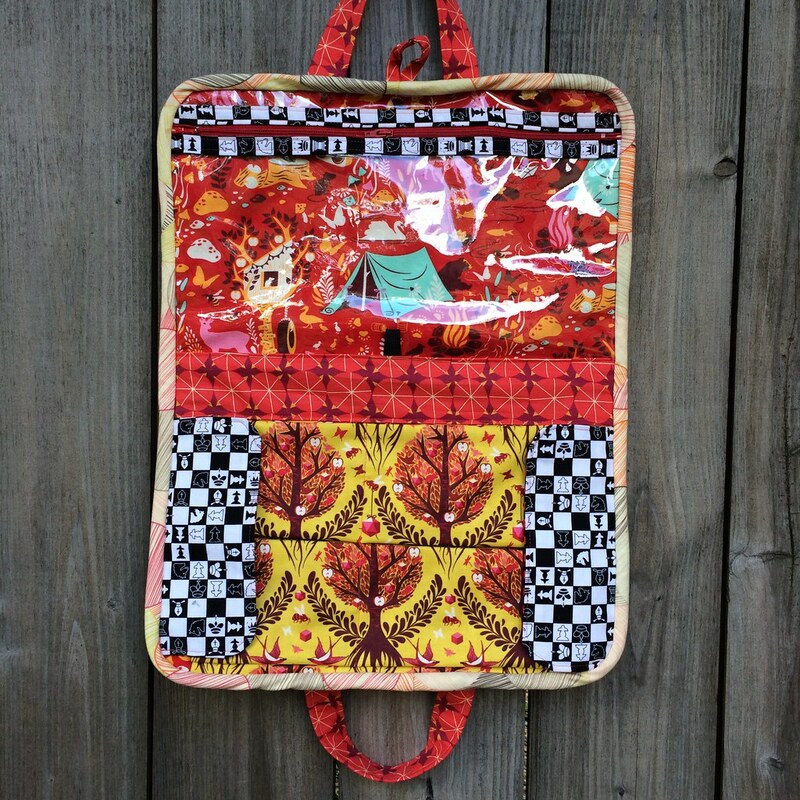 When I was looking through examples of ones other people made online, my younger child demanded one, and as I was looking for another project to feature Heather Bailey's Up Parasol (the first being this pillow), I obliged. But making a thing for one child requires making a thing for the other one, right? Initially the whole background was going to be this black and red checkerboard, which now is only the inside of the flaps. And then I lost the binding I'd cut, and my child chose the new one (Jenean Morrison's Sunday Paper from In My Room), which while looking great with the outside maybe doesn't sit right with the checkerboard either, but well, it's done. And after six weeks - seven? - maybe that's enough. 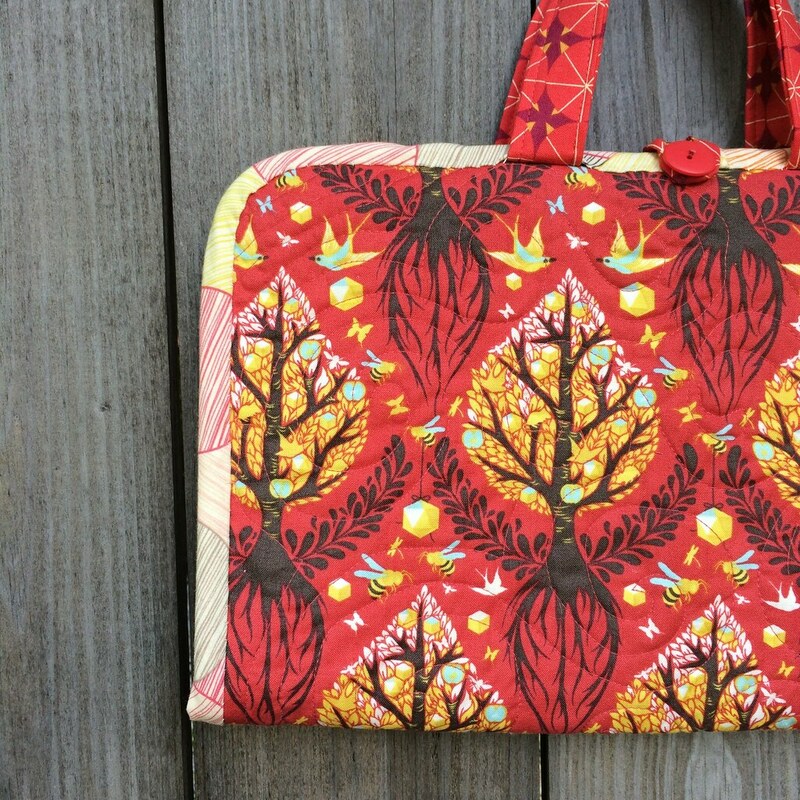 The Road Trip Case pattern is by Anna Graham of Noodlehead. My only notes on the pattern is that I cut my bias binding 2 3/4" wide - and sew it to the inside to keep from having to handstitch the other side to the vinyl, and I cut my vinyl 1" wider and longer on all sides, and trim it back once it's basted in place, since it's hard to line up the zipper. 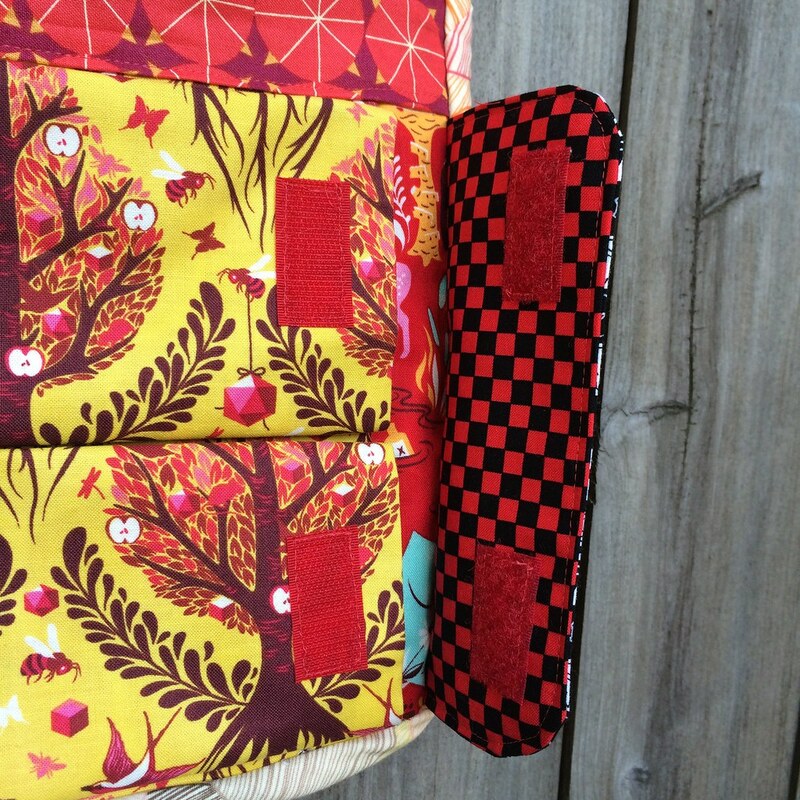 I am just in the process of finishing my first case - like your tip on cutting the vinyl wider.